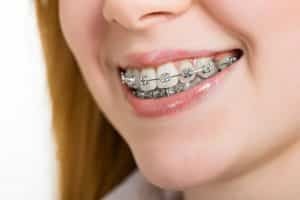 Orthodontic treatments often are assumed to treat cosmetic issues alone; however, this technique can provide more than aesthetic enhancement. Common dental concerns, including alignment problems, gaps between teeth, overcrowding, overbites, underbites, and crossbites can all be corrected with our advanced orthodontic methods. Left untreated, these issues could become serious problems in the future, potentially causing difficulty talking and chewing, generating headaches or jaw pain, or resulting in the loss of teeth or bone structure. Furthermore, having misaligned teeth can have a significant impact on an individual’s self-esteem. At Dr. Arun Narang & Associates, our skilled cosmetic dentists offer customized orthodontics that can provide both aesthetic and functional benefits. For more information about orthodontics, or if you would like to schedule an appointment with Dr. Narang, please contact us today. Many adults desire straighter teeth or suffer from issues associated with misalignment or bite problems that were never addressed when they were children. If you’re an adult and considering orthodontics, we offer a number of modern, discreet options – such as Invisalign® and ceramic braces – that can be as effective as traditional metal braces. Furthermore, advances in straightening technology have made the process more comfortable as well. During your initial consultation, one of our skilled cosmetic dentists will discuss your anatomic needs, cosmetic and functional goals, and lifestyle habits to customize an orthodontic treatment plan that optimizes your experience and results. Children should be assessed for orthodontic treatment beginning around the age of 7; however, every child develops at an independent rate. Once the permanent incisors and molars have appeared above the gumline, we can examine your child for anatomic indicators that may benefit from early treatment. In many cases, your child may not require correction until a later date, and we can recommend when you should return for a second assessment of your child’s teeth, bite, and alignment. If correction is advised, it’s important to note that early treatment may help to circumvent more serious dental and oral issues in the future, such as difficulty eating, chewing, speaking, or problems cleaning between teeth than can lead to decay and the need for restorative procedures. For more information about how we can optimize your child’s dental growth process, please schedule a consultation with Dr. Narang today. One of the most popular treatments for teeth straightening available, Invisalign® typically offers fast, effective treatment with a series of discreet and removable clear aligner trays. Many adults and teenagers prefer this method for achieving more beautiful, even teeth. If you have additional questions about orthodontic treatments available from our practice, or if you would like to schedule an appointment with Dr. Narang, our skilled dental professional, please contact our office today.